top-loading or back-loading 3rd port. * Both top and back-loading options for port 3 share a single set of configuration switches, requiring 2 cartridges that can coexist without configuration. PS/2 Encoder models can be purchased at the RETRO Innovations Online Store. Additionally, ports 2 and 3 contain jumpers allowing one to “swap” IO1 and IO2. This can be used to move a peripheral cartridge (like a serial card or ethernet card) normally residing at IO2 to the alternative IO1 position so that it can coexist with the RAM Expansion Unit, which must reside in IO2. Jumpers are provided, but the jumper pins can be removed and replaced with a subminiature DPDT (double pole, doub;e throw) switch. Expansion port cartridges were not normally designed to coexist with other cartridges. Thus, it is impossible to detail the nearly infinite combinations and whether each works or not. Also, since the “bus” places additional load on the unbuffered expansion port IO lines, cartridges that are susceptible to signal degradation may not work with X-Pander 3, even when installed alone. While the X-Pander 3 will work with the SX64, its use is discouraged. 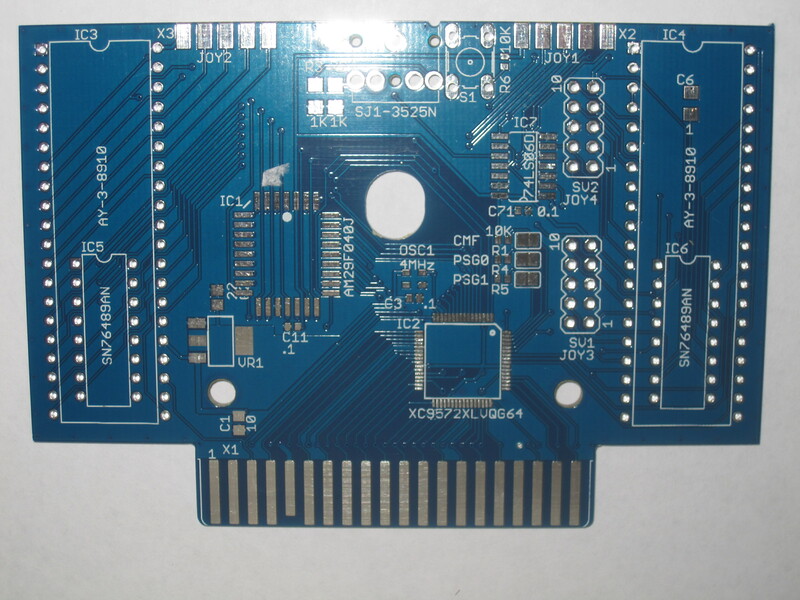 Unlike the other C64-compatible systems, the SX64 uses a ribbon cable to connect the top loading expansion port with the main system PCB. Ribbon cable degrades signals badly, and can render X-Pander-3 unusable.